‘Tis the season to share six words. 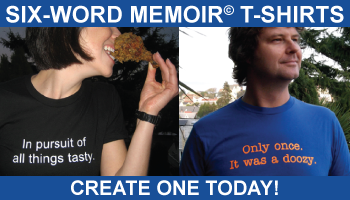 One smart and spirited short-form scribe will win the gift of $50 on Shutterfly. This week’s Six-Word Caption Contest runs two weeks, so you have until 5pm EST on Friday, Jan. 4 to submit a six-word caption in the comments area below to describe the situation you see above. Each entry should be a separate comment and you can submit up to 10 entries; read the official rules for more details. Last week’s winning caption to describe the funny face found in this blog post is “The world is ending WHEN?,” by SteveG. Didn’t win? Hang tough and keep playing—it’s not the end of the world, or even the end of the Six-Word Caption Contest. Has anyone seen my reindeer Rudolph? Mrs. Claus insists I exercise more! A new doorman at Jewish deli. Rather be sleeping on that bench. Lay on bench for free advice. Reindeer unionized. Looking for alternative transportation. Early start on New Year’s Resolution. No chimney? This is the answer. The Elves all have one too! Bicycle for eight didn’t pass inspection. Economy’s tough–I deliver sandwiches too! Might not get off the ground. Only performance enhancers, milk and cookies. Gas? Fueled by milk and cookies. Got dropped by the reindeer pack. Even the North Pole is downsizing. Mrs. Claus didn’t like exercise bike. This was strickly the Dr’s idea. Working off those beers. Don’t tell! Have to fit down those chimneys! The economy has made christmas rough. Hot damn! Santa on a bike. The unicycle is more cost efficient. A basket really completes the look. Red suit really pimps my ride. My other car is a sleigh. Don’t laugh, ’cause it’s paid for. Christmas: gifts. The other 364: newspapers. Need a break, Christmas cheer awaits. Any donations would be greatly appreciated! A basket would complete the look. So, where’s the bicycle rack again? Balancing on a box. Off-season gig. My other vehicle is a sleigh. Bike replaces sleigh in new fangled carol. Sign said open, Santa said otherwise. Borrowed this one from Baby Claus. Only loaner left at sleigh shop. Needed vertical lift for unicycle flight. North pole goes green seeking trainer! Beam me up rudolph, pretty please! MISSING - Has anyone seen my sled? Told retirement gig would be indoors. Fiscal cliff talks stall causing cutbacks. Wanted reindeer spin class training preferred. Scarecrow Santa causing store patron confusion. Reanimation budget cuts unfortunate for Santa. Has anyone seen my reindeer? 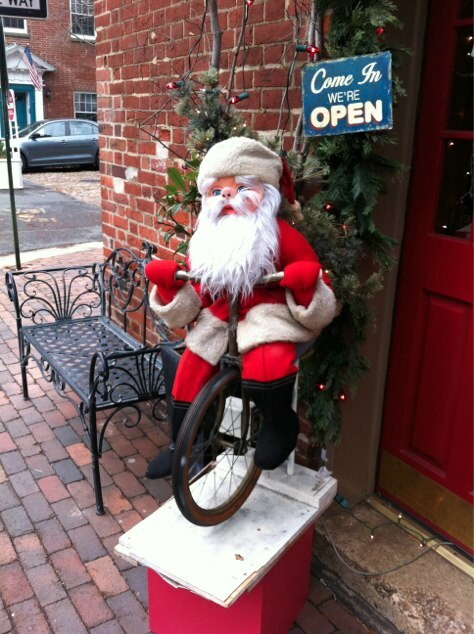 Buy a bike, get a Santa. Wanted silent night. Reindeer too noisy. Honey, I shrunk the Santa! Not the new wheels I wanted. Oh, these hemorrhoids are killing me. We’re headed over the fiscal cliff! Santa’s workout regime pays off handsomely. Finally know Santa’s off season activities. The other 364 days each year. Darn those animal rights activists! Elves don’t let Santa drive drunk. Fyi, Santa doesn’t need padded shorts. Former spinning instructor was Frosty. RIP. Working off all those Christmas cookies! It’s jingle bells, not jiggle bells! No more reindeer after “grandma” incident. Guess what happens to unpopular toys. Darn sled broke down, once AGAIN! Training for North Pole Christmas-Thon! How else could I manage sleds? Steering a sled is harder work! Darn that Red Nose! Trouble Again! If presents late, you know why!!! You MUST be KIDDING!!! No Sleigh???!!! I’m your new toy!!! Please Enjoy!!! Traded Rudolf for last minute gifts. Holidays are over Santa. Now what? Santa’s trying Weight Watchers. It works! Could I have a pillow please? Ooohhh…let me ride a sleigh! Out of gifts….more available here. At new location. Global warming’s real. Drafted to be the designated driver. Moonlighting as a spin class instructor. Going green! Cycling charges the lights. Ho ho ho! Girls are inside. Well Santa, time to go inside. Santa, can I take a spin? Santa’s lowest point since mistletoe scandal. Those elves have gone too far! Accepting donations for bus ticket home. Santa is allways the best welcomer. hey there and thank you for your info ?I definitely picked up anything new from right here. I did however expertise several technical points using this web site, as I experienced to reload the website many times previous to I could get it to load correctly. I had been wondering if your web hosting is OK? Not that I’m complaining, but sluggish loading instances times will very frequently affect your placement in google and can damage your high-quality score if ads and marketing with Adwords. Anyway I am adding this RSS to my e-mail and could look out for much more of your respective interesting content. Ensure that you update this again soon..